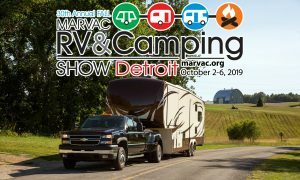 I hereby submit my MARVAC application for membership in the Michigan Association of Recreation Vehicles & Campgrounds, a division of the Michigan Manufactured Housing, RV and Campground Association. I agree to abide by the Bylaws of the Association, to cooperate with my fellow industry members and to keep Michigan a leader in the RV and campground industry. You must select first year option (above) and include each additional site. (a non-voting category; individual no longer active in the industry; have been in industry for over 20 years;) former MARVAC members only) No cost. Briefly describe your organization, listing products or services and hours of operation.This information will help staff to answer phone inquiries, develop directories and serve to build other forms of communication for the membership.